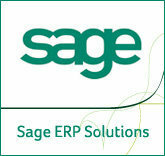 CAREWARE-ERP: Sage Products gets New Names. A strategical move by Sage to bring down the acquired products in to their own kitty and make them known as Sage product. Long expected move, though will have little confusions with existing / new cusotmers, it will settle down well in future. I still do not see a big relevance on the tag of 300 as these kind of numbering system for products do not carry a big value in the minds of customers.